FaithWalk Ministries International is the worldwide ministry focus of Susek Evangelistic Association which exists to help strengthen your faith, your church, your ministry and reach the lost for Christ. We serve the Lord through Evangelism, Conferences, Mediation, Books and other Resources. Ron Susek is an ordained minister, evangelist and radio Bible teacher. 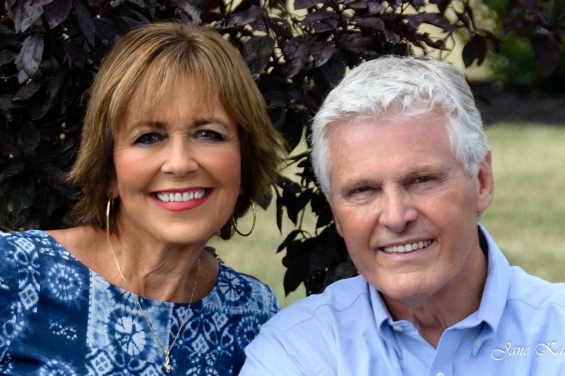 Ron’s wife Diane Susek, a graduate of Peabody Conservatory of Music, has recorded eleven albums and has received the Best Album of the Year from the National Evangelical Film Foundation. I am so glad that you are visiting our web site today. This is an ever-developing center where you will regularly find new materials to assist you in your Christian development and service. Our vision here at Susek Evangelistic Association (SEA) and FaithWalk Ministries International (FMI), which is a subsidiary of SEA, is to equip one million Christians worldwide to bring 100 million people to salvation by sharing the pure and simple Gospel. I hope that you decide to become part of our One-in-a-Million team committed to fulfill this vision. Our website is loaded with encouragement, biblical teaching and practical insights as you seek to grow in your faith and bring others to know our Savior. Be sure to share your name and email address so we can notify you of new biblical insights, encouraging reports, Bible courses and more. Be part of our One-in-a-Million team, working together toward the day when the Lord says, "Well done!" So, welcome. Make yourself at home. Explore our site to find areas most beneficial to you. Let us know how we can better assist you in fulfilling the Great Commission. We will prayerfully and carefully consider your input. 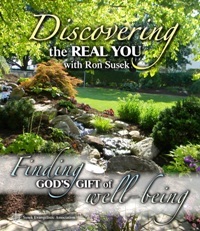 Finding God's Gift of well-being. God is in the business of character building, not quick-fix solutions to our problems. If we evolved from animals, we must look down to the animals to understand our behavior. However, when we turn to the Bible, we discover that is not the picture at all. Rather, we fell from God and the only way we can understand ourselves is to look up to God and see how far we have fallen. The harder you try to feel good about yourself, the more you are focused on self.